What a strange couple of days and more Zero days. We (Dave, Mushy, Quiz and Myself PC) are at somewhat of a loose end. We are all feeling really antsy to get back on trail and do a 20 mile day which now feels like a distant memory. We wake up by Echo Lake to condensation and beautiful surroundings. We sleep in till 7am pack our stuff and get an uber from the Chalet at the south end of the lake. 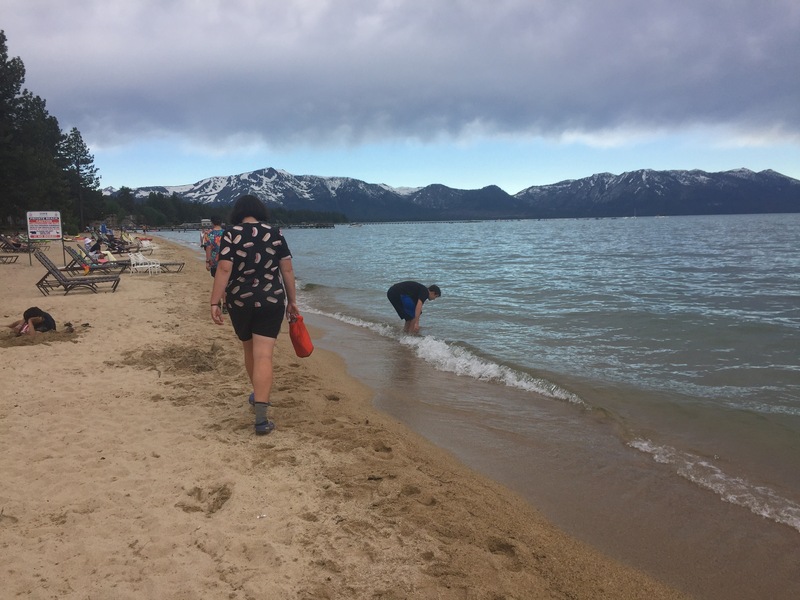 Back in Lake Tahoe we look into flipping options whilst also getting stuff for embroidery and having a swim in the lake. Whilst walking around the privatised lake front people comment on our matching hotdog tshirts, high lights of their day. I didn’t realise how amusing they are. It’s really difficult to find info on flip-flopping this year. Our two main options look like between Chester and Dunsmuir in NoCal or Ashland OR and walking south. Without a whole heap of info we decide to go to Oregon and walk south. The satellite photos on the PCTA blog of snow is what helped us make our final decision. We rent a car and set out the next day via Truckee to pick up Quiz’s hiking poles from the post office. 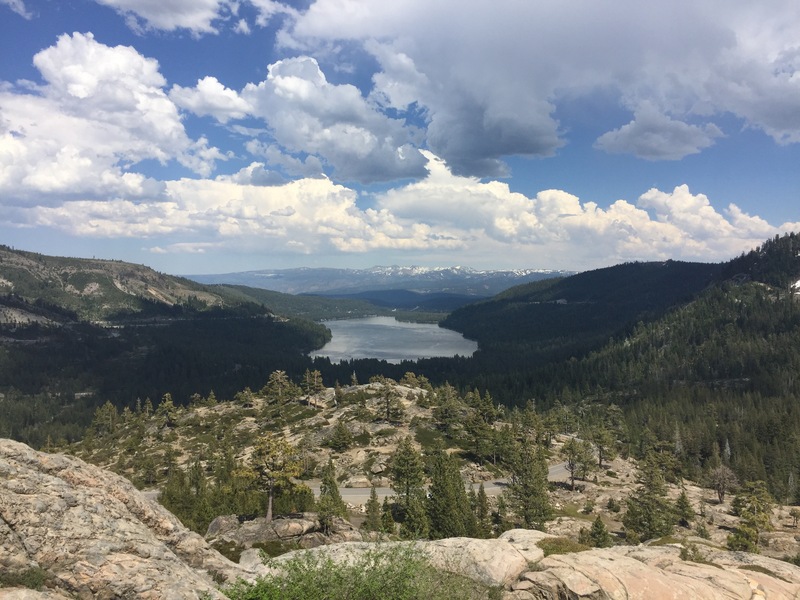 We take a detour round Donner Pass, an infamous mountain pass that has brought death and starvation to many early pioneers who have tried to cross it. 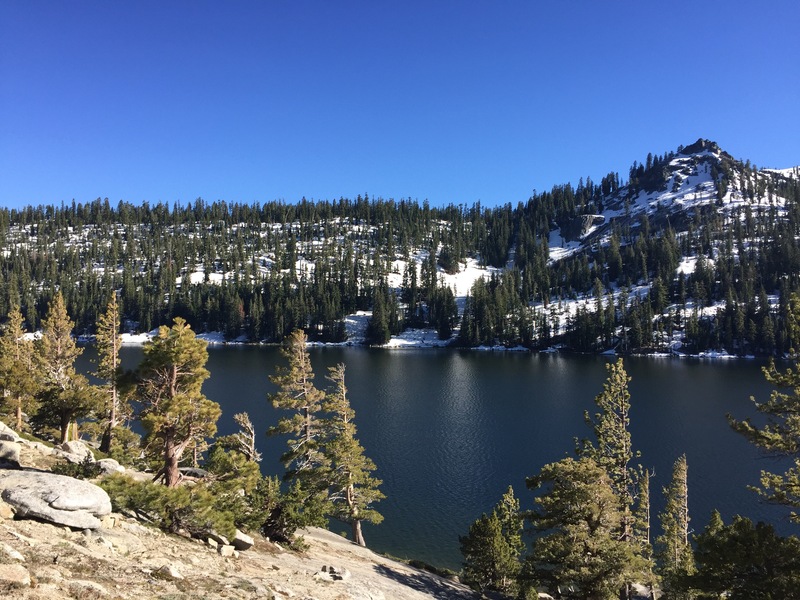 The Pass itself is beautiful, with patchy snow and views to Donner Lake. 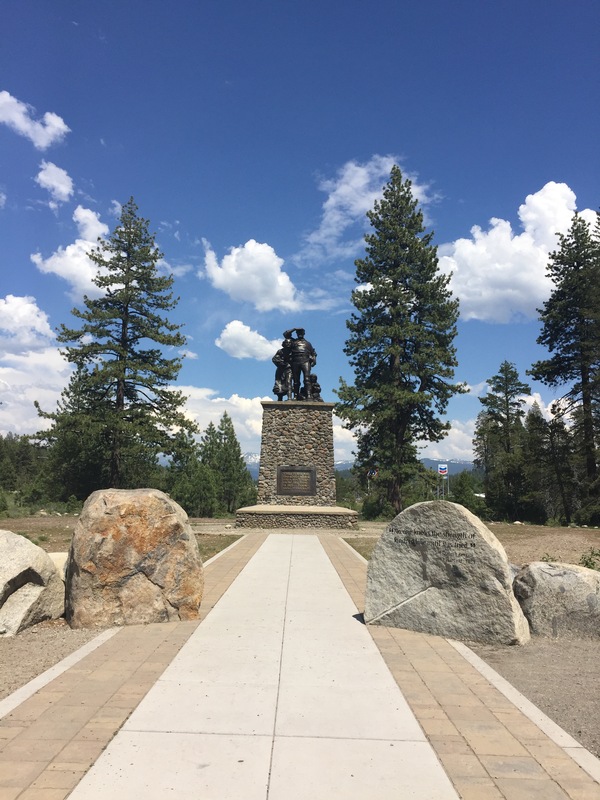 The monument in the valley stands 22ft tall marking the height of the snow when the Donner Party of 90 went through and 44 passed away from starvation/hypothermia. Heading north we drive through Sacramento. It’s 105•f or 41•c outside which is baffling. 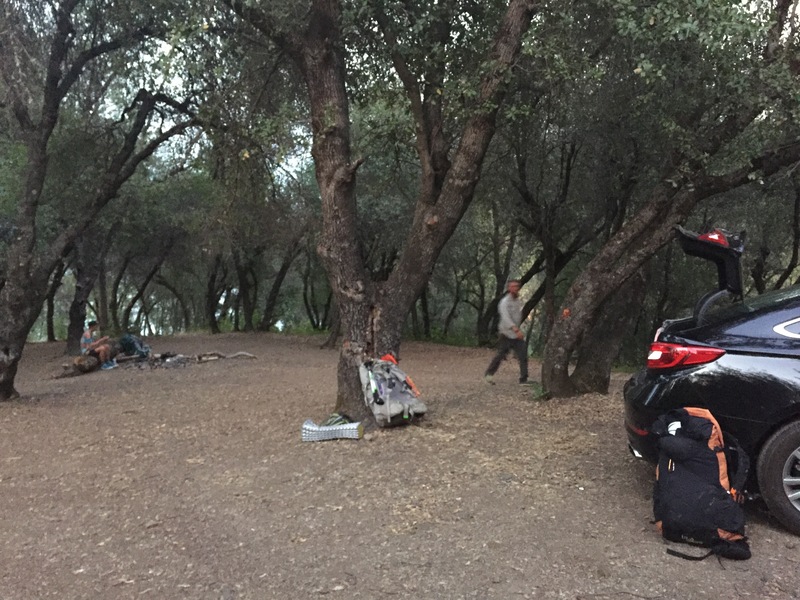 Around Redding we decide it’s time to camp before it gets dark and I find a free camp spot on Shasta Lake near the Marina. We go swimming in lake, the bottom is muddy and the water is warm. It feels so strange after the Alpine temperatures. Today we driving through Oregon. 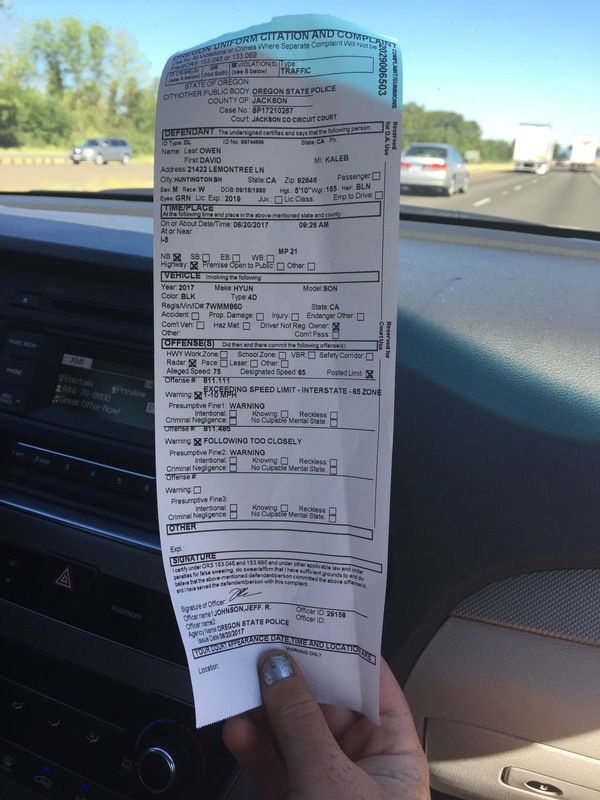 Dave gets pulled over the police for speeding and tail gating. Luckily he gets off with a warning, and phoebe and I think it’s because we are wearing our matching hot dog t-shirts. We are starting hiking today from Callahan’s Lodge and walking south, 55miles to Etna CA and then another 55 from there to Dunsmuir. We know there will be patches of good and bad terrain and fingers crossed we can make some progress! This entry was posted in Flip flop 2 - Ashland OR. SoBO, PCT Week 10. Bookmark the permalink.